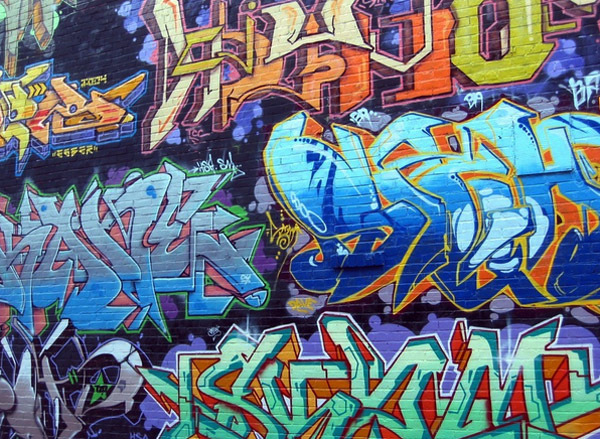 The graffiti movement, which was initially a subculture parallel to hip-hop and had a non-cultural nature, is practically no way related to either hip-hip or protest at present. This subculture has turned into an industry. It merged together with so many other subcultures, and a once free radical art became just a bad habit of inscribing one’s name with aerosol paint, which so many producers of spray paint and graffiti accessories cash on. Protest against commerce and authorization, which was once the basis of graffiti culture became very appealing for investors and boosters. This gave rise to lots of different forms of interaction between writing and commerce among them being exhibitions intended for selling the art of writers and promoting their products, state sponsored graffiti festivals (however, producers of graffiti accessories are among such sponsors as well), advertising agencies, which hire graffiti writers to promote their products and pop industry, which pays them to make stage sets for various clips and TV shows. Train writing has turned into a conveyor meant to produce content for video propaganda and graffiti magazines. Besides, graffiti magazines, which are opened by writers defending the values of underground, as well as world famous writers (such as Can 2, Getting up and Krink) who patent their style and produce goods under their own trademarks, also make extensive use of it. Graffiti community has grown and turned from a local and closed one into a world-wide open multicultural phenomenon. Any person can be a member of such community notwithstanding his/her social standing, gender, race, ethnicity, ideology or taste in music. It is as simple as that — one only needs to invent a nickname for himself/herself, buy a can of spray paint in a paint shop, take a couple of classes teaching you how to use such paint and you are ready for the battle. This kind of situation combined with a mass writing propaganda of graffiti corporations is the reason why so many amateurs and laymen who treat graffiti as just another popular pastime and have no clear motives or aims of their own joint this trend. Many of them fixate, do not evolve in their creative work and start duplicating their works as a result. In other words, graffiti culture is being commercialized and is becoming visual. It is dissolving in various spheres of visual culture. European interpretation of American writing which moved image to the foreground (instead of fonts) is what made graffiti popular and understandable. This is the reason why it is so widely utilized in design and advertising. The interaction of these two industries, which was barely noticeable in the 1990th has turned into their convergence. The subculture is gradually turning into a mainstream, a fashionable and expressive visual trend. The graffiti culture of today is being blocked in between deviant activities and the art market, which is a battleground for ideology and acceptance by other writers fighting for the loyalty of corporations and gallery owners, who have an opportunity to sell graffiti products and adapt them to the market requirements. Meanwhile, art community has been repeatedly trying to appropriate cultural codes of street art and perform the museumfication of separate street art objects. The examples of the latter are various graffiti exhibitions, which are a source of collection replenishment for many large museums. This is achieved by acquiring the works of famous writers, as well as instances of live street art objects perpetuation (to the latter belong a private wall bearing the work of Keith Harring, works of BANKSY placed under vandal-proof glass, etc). Under such conditions a necessity appears to create a specialized institution, which would be able not only to display street art but also comment on it, hence accentuating the most acute and paradoxical notions of street art.